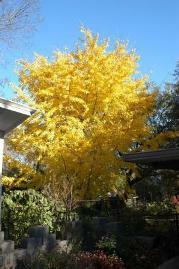 Dirt Doctor Weekly Newsletter Why Do Leaves Change Color? Fall color hasn’t been great this year because of the weather patterns, but there’s been some color and people are always interested in why the color is the way it is. 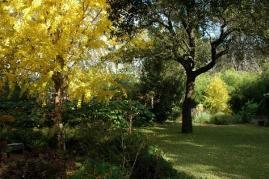 Two compounds are largely responsible for fall colors – anthocyanins and carotenoids. Chlorophyll, which is green, is present in large quantities during the growing season. Chlorophyll attaches itself to chloroplasts within the cells and is responsible for the photosynthesis of sunlight into oxygen and carbohydrates. 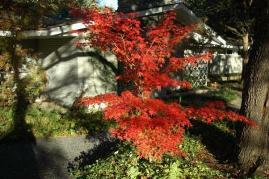 In the fall, leaves begin a process of disassembly known as “senescence”. As the days shorten, chlorophyll production slows to a stop. Chlorophyll remaining in the leaves breaks down. 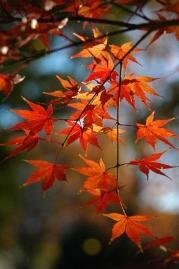 As chlorophyll breaks down and diminishes in the leaves, compounds called carotenoids become more visible. 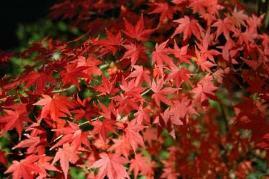 Carotenoids are thought to be present in the leaves all year. They are responsible for the bright yellows. Anthocyanins are present in leaves in small amounts all year and only become visible as chlorophyll diminishes in the fall. Sugars, trapped in the leaves in the fall, are responsible for increased anthocyanins production, which gives leaves the red, orange and purple fall colors. 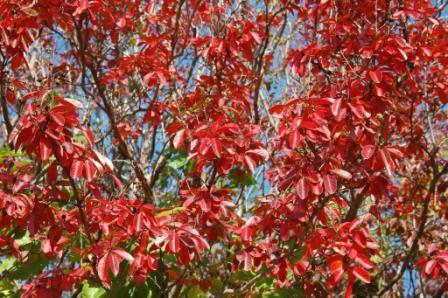 Anthocyanins have been shown to be effective light screens in foliage. 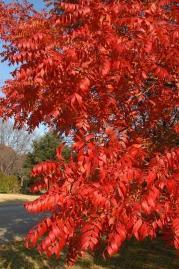 Soil moisture, nighttime temperatures that are cool but not freezing, and mineral and nutrient availability in the soil all play a role in the amount of anthocyanins and carotenoids a tree can produce, but cool nights and bright sunny days produce the most brilliant fall color. 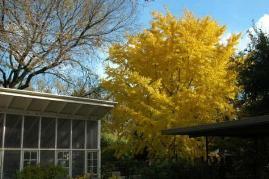 Here are some more photos of this year's fall color. Hope you enjoy them.